Brand spankin' new to the Pure Spa family are the Refectocil Eyelash Curl Kits! As soon as they arrived at the warehouse, the orders started going crazy! I guess this was what everyone was waiting for!... why? I have no idea... I'm just a shipping guy! See our great RefectoCil Eyelash Curl Kit HERE! For a brow specialist, consultation is important. How do you set yourself apart? By using RefectoCil Brow Styling Strips you can add that special touch. The wax strips are suited for any brow forms and automatically mark the perfect position for the highest point. This way, the eyes are opened and an optical lifting effect is achieved. When tinting at the same time, the wax strips act as a template. The result is perfectly shaped and tinted brows! 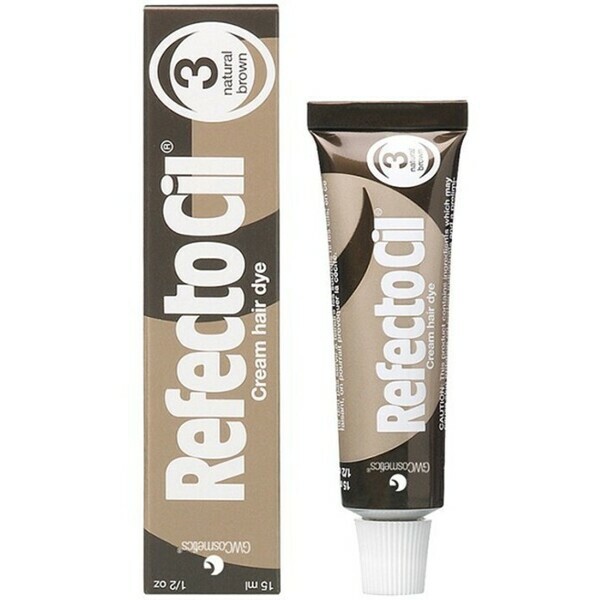 For more Refectocil products, click here! With RefectoCil Brow Styling Strips it only takes 2 minutes to create perfectly shaped WOW brows! WOW brows make any look an eye-catcher! The wax strips are suited for any brow forms and automatically mark the perfect position for the highest point. This way, the eyes are opened and an optical lifting effect is achieved. When tinting at the same time, the wax strips act as a template. The result is perfectly shaped and tinted WOW brows! 60 separate strips to create 30 pairs perfectly shaped brows. Pair with any of our tinting brands for amazing results! Let's Hear it for the Underdog! Refectocil, Intensive, & Berrywell tint products move out fast every day at our warehouse. This week, however, saw a huge increase in the sale of Combinal Tint Products! 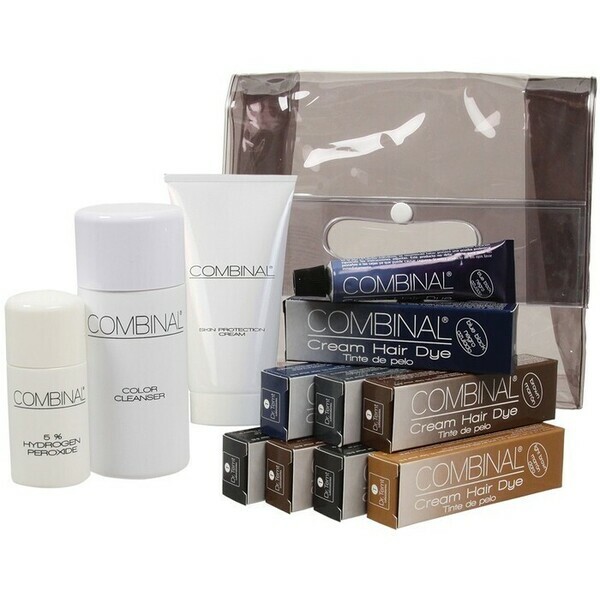 Combinal seems like the underdog of the tint products, but if you watched the Australian Open last month you know that an underdog can and does win - hats off to you Roger Federer! why? I have no idea ... I'm just a shipping guy! See our great Combinal Tint Product selection HERE! It's All About The Eyelashes! If you're like me or like most men - we had no idea that women tinted their eyelashes. Well guess what..they do! The Refectocil Eyelash Perm Kit was so popular last week that I actually watched videos of eyelash tinting. It's actually pretty cool... why? I have no idea... I'm just a shipping guy! See our great Refectocil Eyelash Perm Kit HERE! 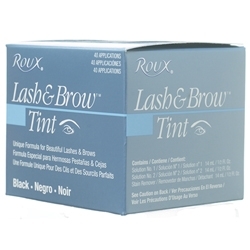 For beautiful lashes and brows, try quick and easy tinting. In minutes clients can have gorgeous lashes and brows in the perfect shade, that will last for many weeks. Lash/brow tinting is so simple, it can be performed during another treatment. Lash & Brow Tinting is one of THE MOST POPULAR ADD-ON SERVICES! Tinting should only be performed by licensed professionals! Lash & Brow Tinting - #1 Spa/Salon Service Add On! Lash and Brow Tinting is an enormously popular service for spas and salons. It is an easy add-on performed licensed estheticians and cosmetologists that clients love. When clients book facials, many successful spas and salons suggest they also schedule an appointment for lash and brow tinting. This is a highly profitable add-on that helps secure repeat business. Tinting is quick, effective, and offers dramatic, long-lasting results for clients. 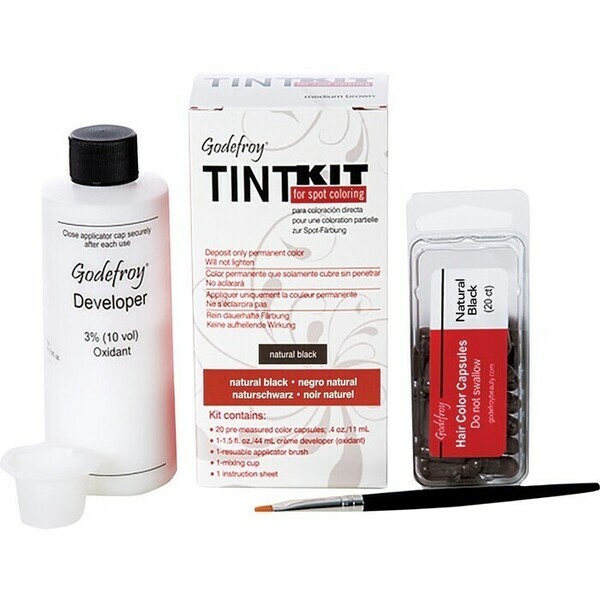 There are many brands of professional Tinting products. 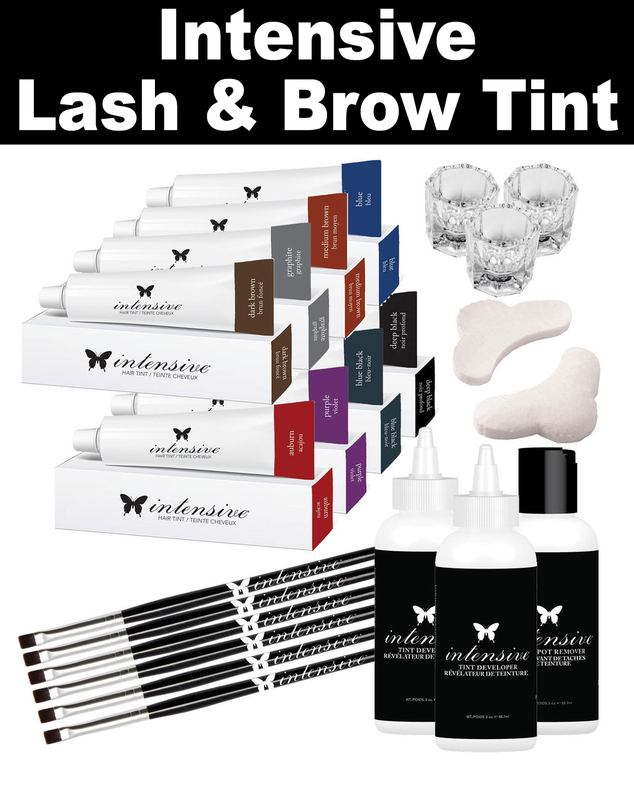 One of our most popular brands has been Intensive Lash & Brow Tint. Recently, there has been some questions about the changes to this brand and product - let us clarify. 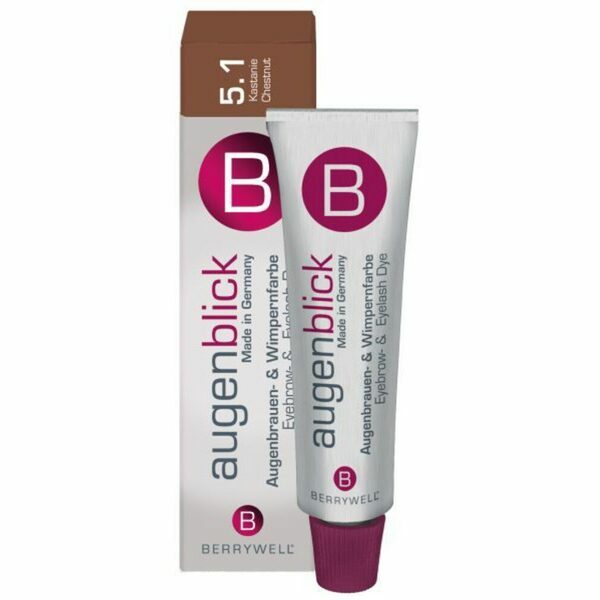 Known for years by its distinctive orange/gold box & tubes, this original Intensive had been produced by a German company called Biosmetics for 20 years and was distributed in the U.S. until late 2015. In 2016, the US distributor/importer of Intensive discontinued using Biosmetics in Germany to make their trademarked brand Intensive. Intensive is now being manufactured by a US based laboratory and has an updated the formula. The US manufacturer says the key benefits of this newly formulated product is a thicker consistency and US quality. Of course, we offer many tinting brands. To meet our client's varied needs, we offer: Intensive, Refectocil, Berrywell, Combinal, Godefroy, Roux and more. If tinting services are new to you, regulations vary from state to state so please check with your state board before performing this service. We only sell tinting products to licensed estheticians and cosmetologists... if tinting is outside the scope of your licensure, we will not sell it to you! Not sure what a new year has to do with lash and brow tinting, but Intensive products have been FLYING out the door this last week... why? I have no idea... I'm just a shipping guy! 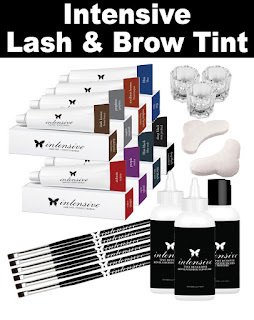 See our great Intensive Professional Lash and Brow Tinting selection HERE! Mix it up with Dappen Dishes! Dappen Dishes were all the rage last week. We sold a cases of the clear ones, plastic ones, and green ones. The most popular, however, was the clear glass dappen dishes. To me, they just look like mini shot glasses... why? I have no idea... I'm just a shipping guy! See our great Dappen Dish selection HERE! Lash and Brow Dye for Sensitive Skin is Here! 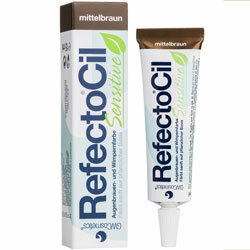 Refectocil products ship every week, however, last week the Refectocil for Sensitive Skin was the hot seller! Recently added to Pure Spa's inventory, it really took off last week. It's about time they made a brow and lash dye for sensitive skin for people like me... why? I have no idea... I'm just a shipping guy! See our great Refectocil for Sensitive Skin selection HERE! Introducing RefectoCil Sensitive: Plant-Based Lash & Brow Tinting for Sensitive Eyes and Skin! We all know the saying "Beauty Hurts," ...but it doesn't always have to! Introducing the NEW RefectoCil Sensitive Eyelash & Eyebrow Tint - Permanently expressive eyes, now even for sensitive clients! With RefectoCil Sensitive you can finally offer the perfect tinting service for clients with sensitive eyes and skin and ensure that they have naturally beautiful, accentuated eyes too – day and night. The completely new 2-Step tinting system allows you to tint eyebrows and eyelashes in 3 minutes only – totally safe with Colors based on plant extracts. 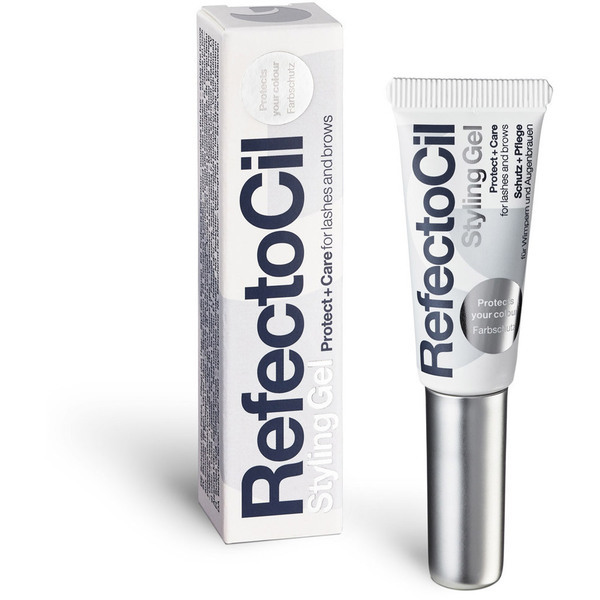 RefectoCil Sensitive is easy to use and achieves the best tinting results, lasts up to 6 weeks and is absolutely smudgeproof AND waterproof. Please use in combination with RefectoCil Sensitive Developer Gel only! PRO TIP: For the perfect upsell, offer to perm your client's lashes at the same time, using the RefectoCil Lash Perm process. Your clients' eyes will be ready for the day before they are even out of bed in the morning! Only silver nitrate product with 4 shades of Color (Black, Dark Brown, Medium Brown, Light Brown). Check out the new 2-Step Tinting Process below! Protect Your Eyes - You Need 'Em! These Silicone Eye Protection pads are pretty cool. First of all they come in a neat little pouch and second of all they feel awesome! I bet you guys are gonna get hooked on these... why? I have no idea... I'm just a shipping guy! See our great Silicone Eye Protection Pads by Refectocil HERE! A Perm for your Eyelashes? When I think of a perm it reminds me of old ladies sitting on a chair with a big bubble on their heads. Well times have changed. Now you can have your eyelashes permed! And people must be having it done- we sold a bunch of the Refectocil Perm Kits this week... why? I have no idea... I'm just a shipping guy! See our great Refectocil Eyelash Perm Kit selection HERE! Every week Refectocil and Intensive compete for bragging rights of who's the best lash and brow dye. Well, this week goes to Refectocil. Even though it was a short week, victory still tastes sweet for Refectocil. So let's give 'em a hand .... why? I have no idea... I'm just a shipping guy! See our great Refectocil selection HERE!